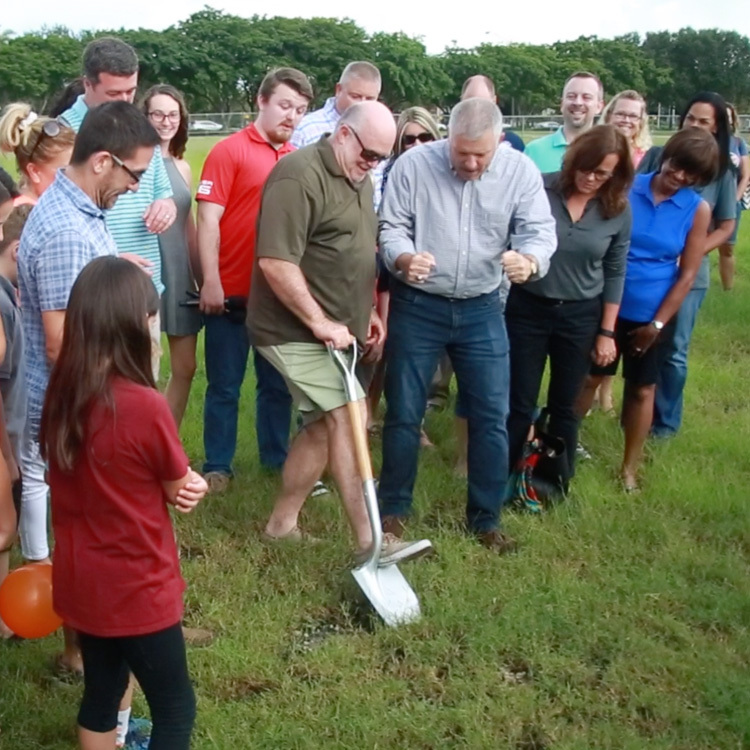 27 years ago, Pastor Eddie Bevill and his wife Laura started Parkridge Church, which began by meeting at Marjory Stoneman Douglas high school for seven years before moving to their current location at 5600 Coral Ridge Drive, Coral Springs. Over the years, the church has grown to be an integral part of the community. Parkridge’s programs have touched thousands of families in our immediate area and far beyond. With a focused mindset of serving our community, Children, and Families Pastor Brad Boyette tells us, “Our passion is equipping people to love God and love others. We feel it’s the main mission of Jesus and His church throughout the world.” Parkridge Church hosts marriage, family, parenting, children, students, and adult ministries on campus while spreading the Good News of Jesus throughout other parts of the world including France and Haiti. Because of their beloved standing in the community, Parkridge Church has seen many expansions, from their first worship center in 1999 to a Christian preschool ministry in 2002, then on to Kindergarten and higher grades starting in 2007. 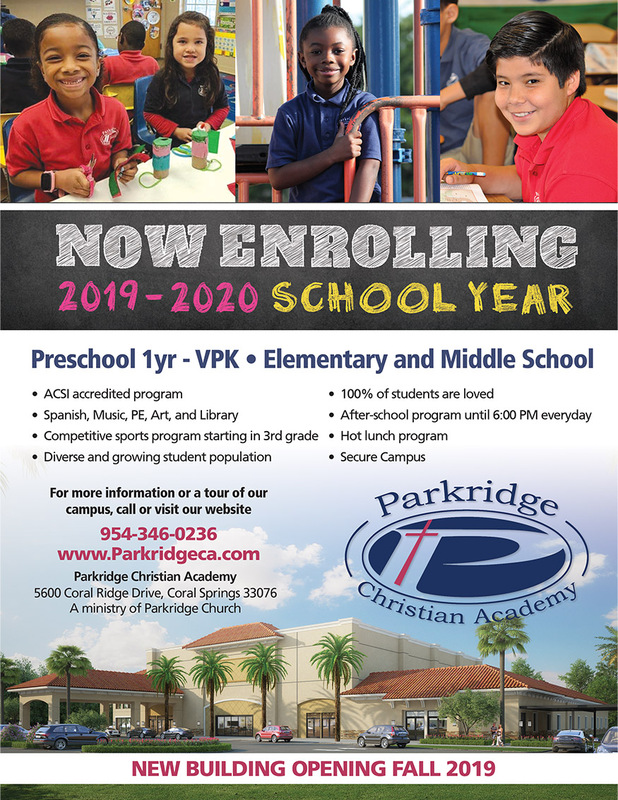 Today, Parkridge Christian Academy (PCA) includes preschool, elementary, and middle school through 8th grade. The PCA is fully accredited through the Association of Christian Schools International (ACSI) and the PCA’s teachers are subject certified. Complementary programming for the school includes Spanish, Music, and Art. PCA also offers after-care pickup for most area schools, summer camp, and accelerated reading programs. Principal Josh Halulko and Preschool Director Rebeca Rosa encourage families who desire a rigorous academic environment for their children, taught with a biblical worldview, to call for a tour. Enrollment is open for this fall. 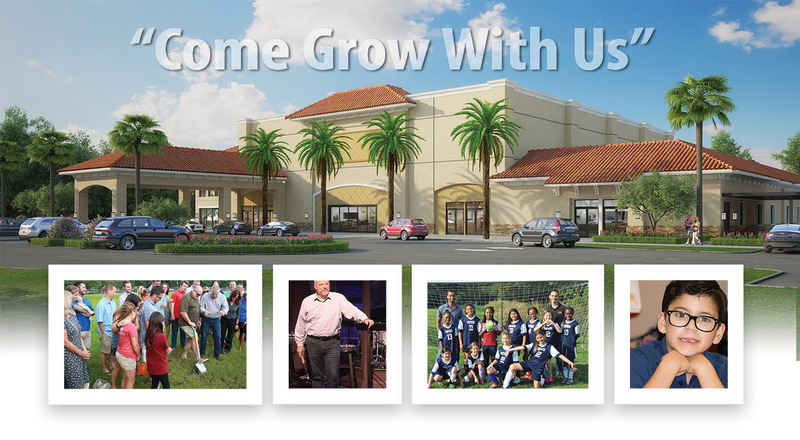 Parkridge Church and the Academy are currently in the process of expanding their 12.8-acre campus to include nine new classrooms, a new worship auditorium with fixed stadium seating, a full-size indoor basketball court, and a full-size theatrical stage. Their championship sports program includes Basketball, Flag football, Soccer, and Volleyball. PCA provides the best in security with a locked campus, security cameras, and a Police detail during hours of operation. April 19th 5 and 6:00 p.m.
April 20th 10:00 a.m. – 1:00 p.m.
Saturday, April 20th 5 and 6:00 p.m.